These are the hallmarks of the Audiospecials range of reference-class phono amplifiers. 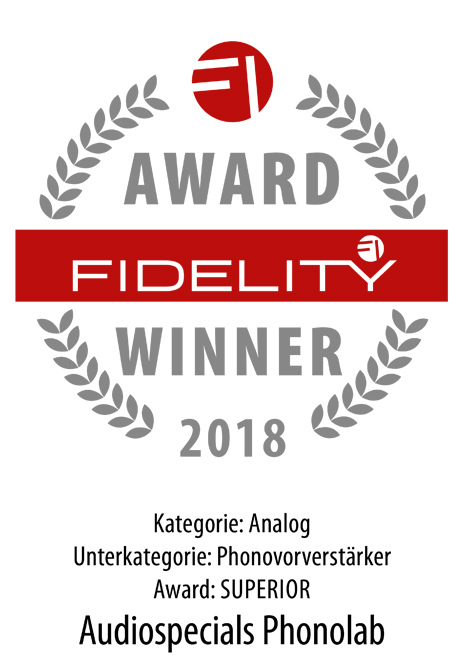 In recognition of its outstanding sound characteristics, the Phonolab 1.0 received the FIDELITY AWARD 2018 in the category phono amplifiers, price class Superior, (Cost - no - object). 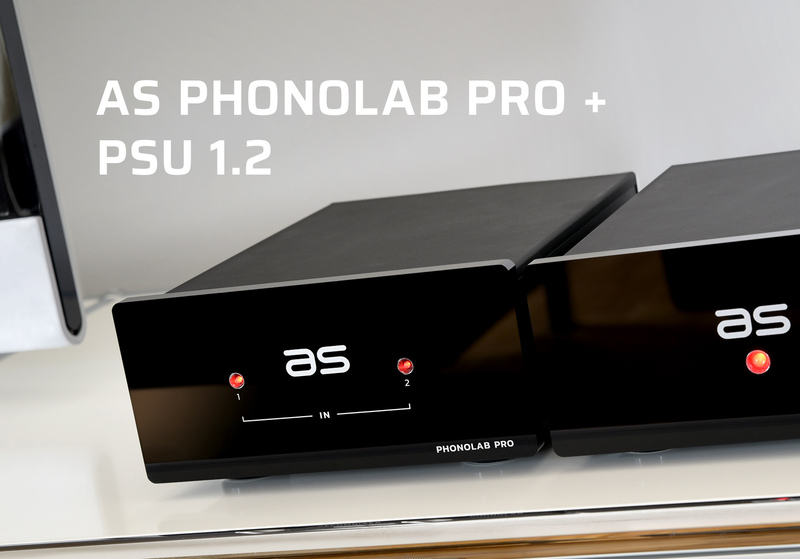 For more facts and information please click on PHONOLAB PRO and PHONOLAB 1.0 above. For details please refer to the TEST CASE page. Our products are only available from exclusive dealers and Audiospecials. Competent advice from a manufacturer dedicated to addressing individual customer requests. If you are looking for perfection in your speakers as well, you have come to the right place at Bohne-Audio. For more than 15 years this company has been on record for its standard-setting active loudspeaker systems. Your source for high-end audio at its most refined. When it comes to exceptional record players, Dereneville is a preferred choice. From motor housings to tangential tone arm systems, perfection is writ large at this manufacturer. Their technology must be seen to be believed.